A few meters from the Hotel Villa Mandi is the Golf Course of the Americas. If you are thinking about getting started in this sport, you might want to take advantage of your holidays in Tenerife for the first contact. Golf is a sport that can be practiced by people of all ages, including the youngest in the house, so you can also enjoy a day with your family. It is a sport that requires concentration and technique, above competitiveness. So it can be a perfect opportunity for your children to work on concentration while having a great time. How can I enjoy a day of golf in Tenerife? Very easy! 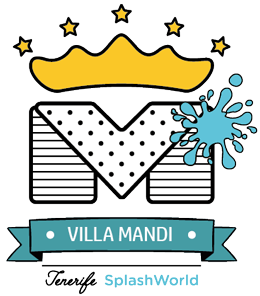 Enjoy a day playing your favorite sport next to Hotel Villa Mandi. The Golf Course of Las Americas has 6,051 meters between which extend 18 holes. In addition, it is one of the points of reference in the south of Tenerife. It offers all the services you need to get started in this sport during your holidays on the island. In order to initiate you in the practice of this sport, you must put yourself in the hands of professionals and receive some basic lessons, our team will help you manage your reservation. In this way, you will not only learn to execute the different strokes, but also some basic rules such as etiquette or courtesy to be able to develop naturally in the field. Enjoy this unique opportunity: We propose you to experience this magical moment with all your senses. As we told you, concentration is very important. Therefore, leave your mobile phone in our hotel, avoid thinking about work issues or other problems. Give your mind a little rest and enjoy this unique opportunity! Golf is a sport: Try to arrive a little early to familiarize yourself with the material and above all, to stretch. In spite of being a calm sport, you will need to make use of different muscle groups and, therefore, it is very important to warm up before starting to play. Familiarize yourself with the language: Golf is a sport that has its own extensive vocabulary, but when you finally become familiar with the main terms, you can also enjoy watching a game of golf and discussing it with your friends using the right language. Caddie, Greenkeeper, Draw, Fade, Handicap… These are just a few examples. Take your time: Playing the 18 holes of the Las Americas Golf Course can take between 3:30 and 4 hours. Don’t be in a hurry to finish, use the time to chat with your family, friends or your coach. You may not want to schedule more activities for that day and return after your departure to the relaxing pool of the Hotel Villa Mandi, the finishing touch to a day of sport. We hope these tips have service you to start with strength in golf. We are sure you will not regret knowing more about this sport. If you still don’t have your reservation at the Las Americas Golf Course, contact us!